Each year web design trends grow and change to accommodate new technology and new user habits. We’ve rounded up the top trends for 2015 for you to incorporate into your current site or if you’re planning a redesign this year! Americans spend 2 1/2 hours per day on their mobile device. 57% of consumers will NOT recommend a company with a website that looks bad on a mobile device. Mobile accounts for 60% of total digital media time spent by Americans. A survey by Google showed 48% of users said a website that didn’t work well on their smartphone made them feel like the company didn’t care about their business. 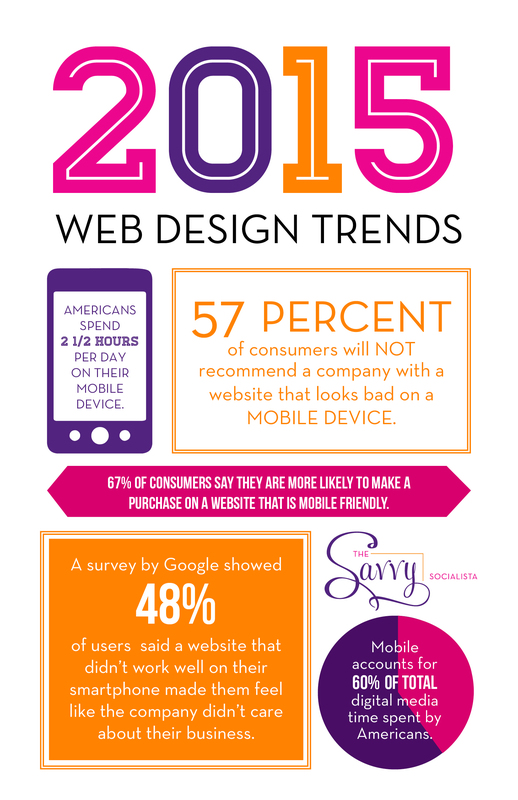 67% of consumers say they are more likely to make a purchase on a website that is mobile friendly. Most new site designs tend to be longer in length. As mobile devices become more popular, it’s becoming more commonplace for sites to opt for scrolling instead of linking as a means to display content, especially on their home pages. It is easier for users to simply scroll through a page to get their information than it is to constantly click to find information. For example, Apple’s page for its iPhone 6 showcases the long scrolling page trend. It showcases all of the product’s specs and features. The clean simple layout gives users an easier path to to action. By using minimal text, you can quickly get to the point of your website, allows for easier navigation and attract consumers with storytelling through high quality images. Using custom photography makes you unique in that no one else will have those same pictures on their site. Typography is playing a bigger role in setting the mood and tone for websites. Large typography is likely going to be key in 2015 as a way to enhance the visual hierarchy of the page by ensuring visitors read the largest type on the page first, because that is what grabs our attention first. 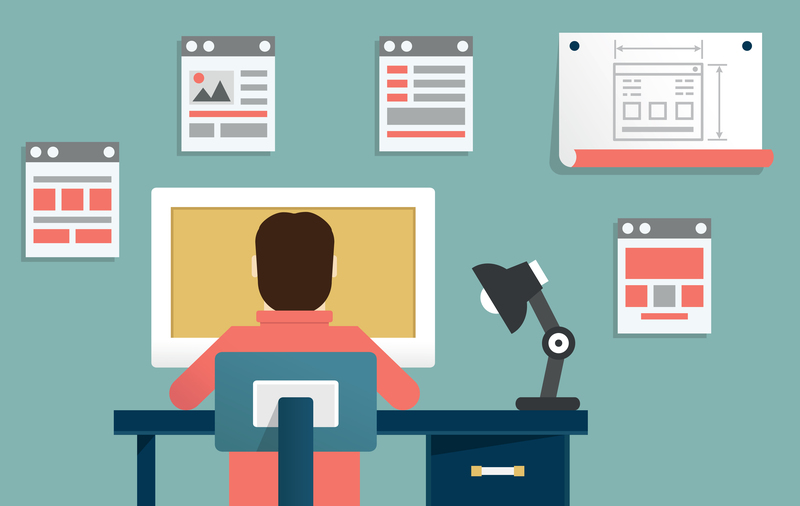 What other web design trends do you think will rock the Web in 2015? Let’s discuss in the comments below!